Xi Jinping has coined a new catchphrase in his opening speech to the 19th National Congress. China will flourish under “a new era of socialism with Chinese characteristics” was Xi’s theme in a three-and-half hour speech in Beijing. 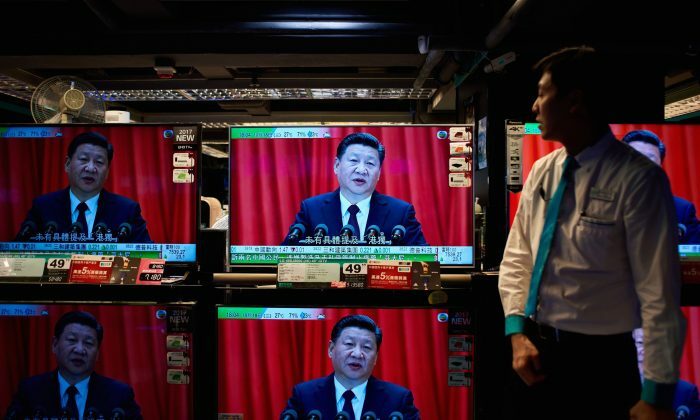 Directed at Party members who have gathered for the once-in-five-years political conclave when the Chinese Communist Party (CCP) announces the next generation of top leadership, Xi described a future in which the Party’s ideology would lead China to become a true global power. And of course, listeners would no doubt surmise that Xi, who is expected to continue ruling for another five-year term, envisions himself to be the one leading China into this “new era,” a term mentioned 38 times throughout his long-winded speech. The entire congress, which will last until Oct. 24, is a highly orchestrated event, but decoding the party jargon in Xi’s speech is nonetheless useful for understanding how he plans to rule China. Xi has spent the past five years since becoming leader of the Chinese regime consolidating his power, ousting those in the opposition faction via his sweeping anti-corruption campaign. His 19th congress speech conveys a man who commands full control of the Party, but also one fearful of the Party losing its grip over society. Xi reiterates the point again and again, that the Party is omnipresent and the only path forward for China. “The government, military, people, and schools—east, west, south, north, and center—the Party leads all things,” he said. He cautioned against “forcibly” applying Western styles of governance to China, quashing hopes of true political reform by casting “socialism with Chinese characteristics” as the core of China’s past, present, and future. “Standing up” is a reference to a 1949 speech by Mao Zedong, claiming that the Chinese have “stood up” and triumphed following the CCP’s takeover of China, while “becoming wealthy” is a nod to Deng Xiaoping’s “opening up” economic reforms. Xi sees himself in the same lineage as Mao and Deng, and is implying that his contribution to the CCP legacy is to allow China to become powerful on the world stage. This look at the future may be a clue that Xi does intend, as has been rumored, to continue his rule beyond the established Party convention of two five-year terms.